Researchers are trying to uncover felines’ secret life with an international Cat Tracker project. They are using GPS tracking to follow cats around on their outdoor adventures. 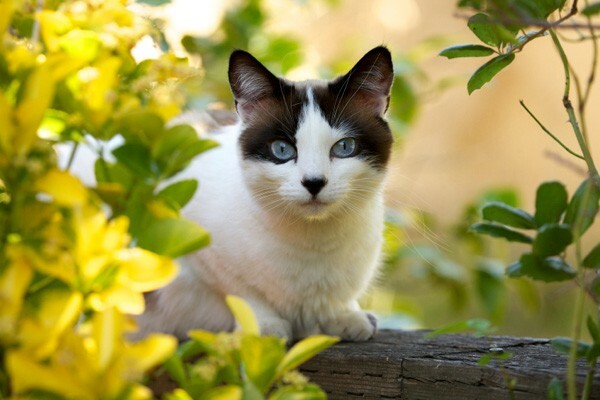 You can help them by signing your outdoor cat up for the project. Have you ever wondered where your cat goes when it leaves your yard? Most cat owners are curious. The life of your outdoor cat will no longer be a mystery. The GPS Cat Tracker project is available to all cat owners who would like to participate. Owners have to make a do-it-yourself GPS harness and then set the cat loose for 9 days. The data needs to then be uploaded. This will enable you to see where your cat roamed during the time the GPS harness was worn. Researchers will discover more information about cats’ movement patterns. This project initially started as a United States project; however, it has now expanded to New Zealand and Australia. Researchers are excited about the data they discover in New Zealand because cats are at the top of the land wildlife food chain. You do not have to have an eligible cat to find out where cats that are participating go. You still have access to the Cat Tracker tracking maps. When you view many of the tracking maps, you will notice that many of them look like messy spider webs. The Cat Tracker project can uncover many cat mysteries including how climates impact their range and the impact cats have on wildlife. In addition, data will be used from the registration questionnaire to determine if larger cats remain close to home, or if cats that are from the same household have the same roaming patterns. Cats may not have a secret outdoor life very much longer.